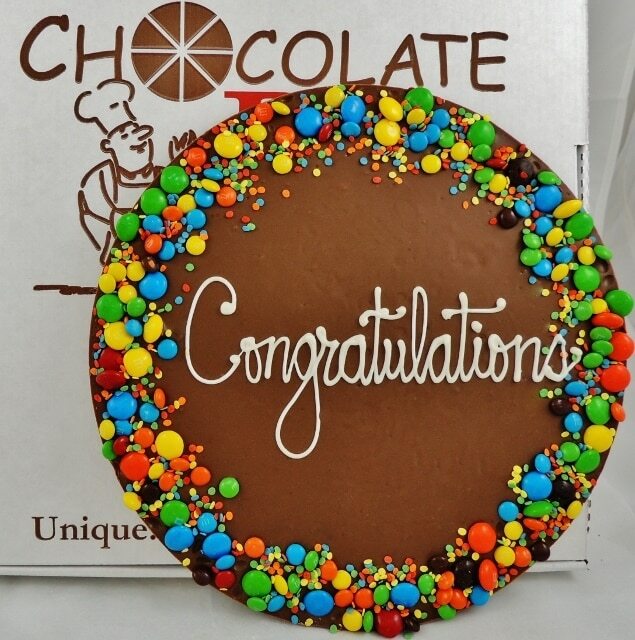 Congratulations are in order so why not celebrate with gourmet chocolate made just for the occasion. 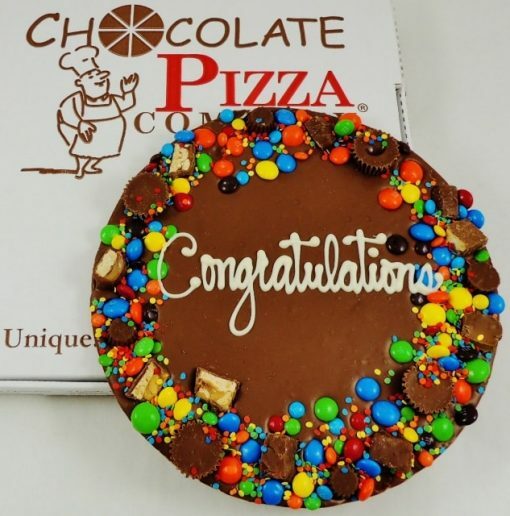 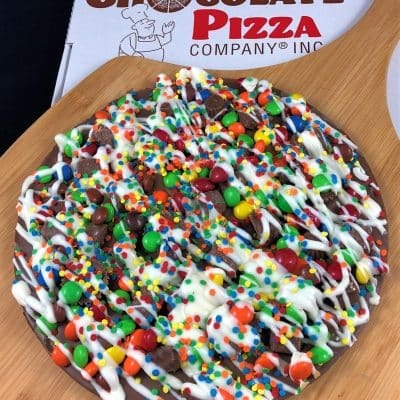 Special achievements deserve a unique gift so celebrate that big moment with a hand-decorated Chocolate Pizza. 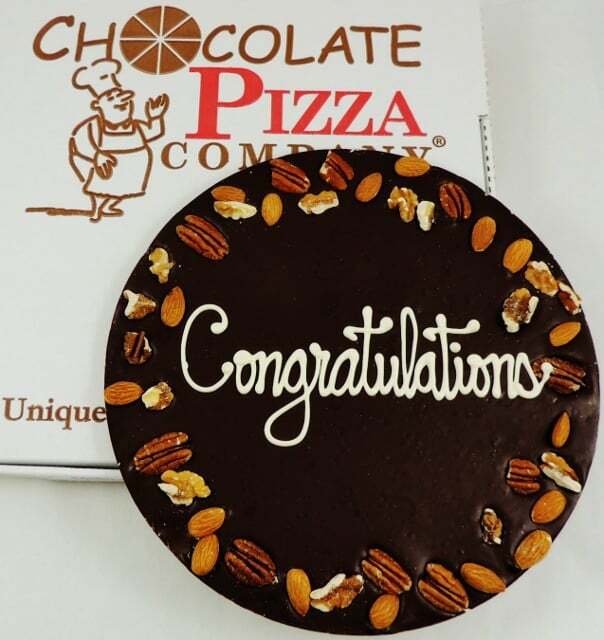 This is our famous blend of gourmet chocolate and homemade English toffee with your choice of borders and a hand-scripted, Congratulations, in white chocolate. 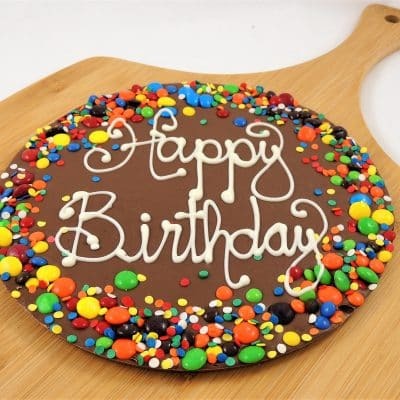 It is a one-of-a-kind gift that will bring a smile to their face. 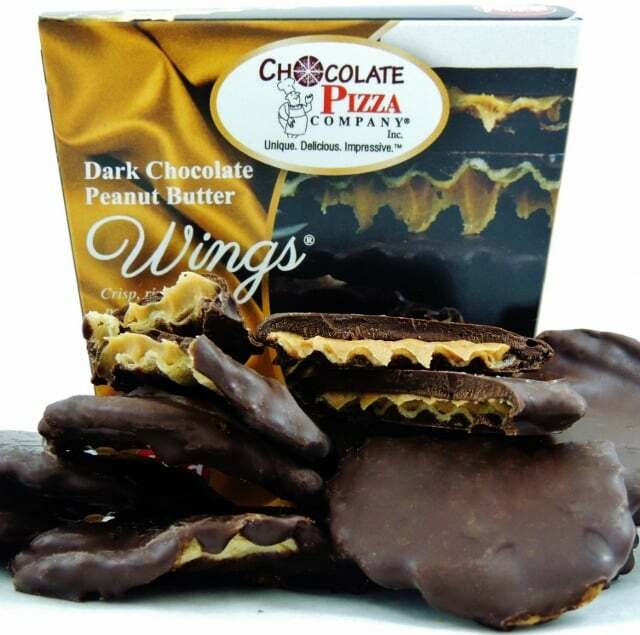 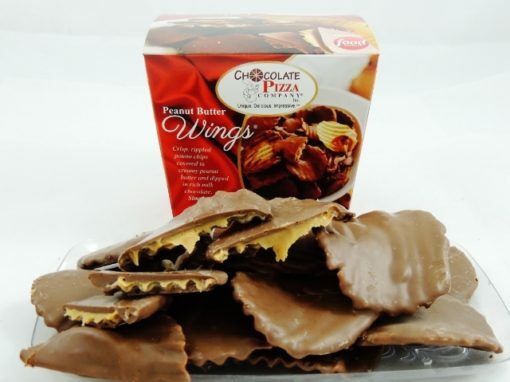 Choose the flavor of chocolate, the size, and the type of border – even add our famous Peanut Butter Wings. Border choices include colorful candy border, a nut border comprised of pecans, almonds, walnuts, or our Avalanche border with peanut butter and chocolate candies. 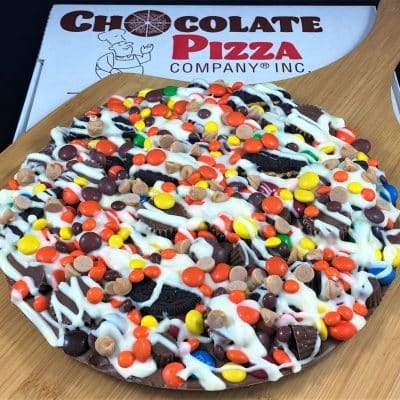 Sealed in cellophane for freshness and served in a custom pizza box. Congratulations never tasted so good!